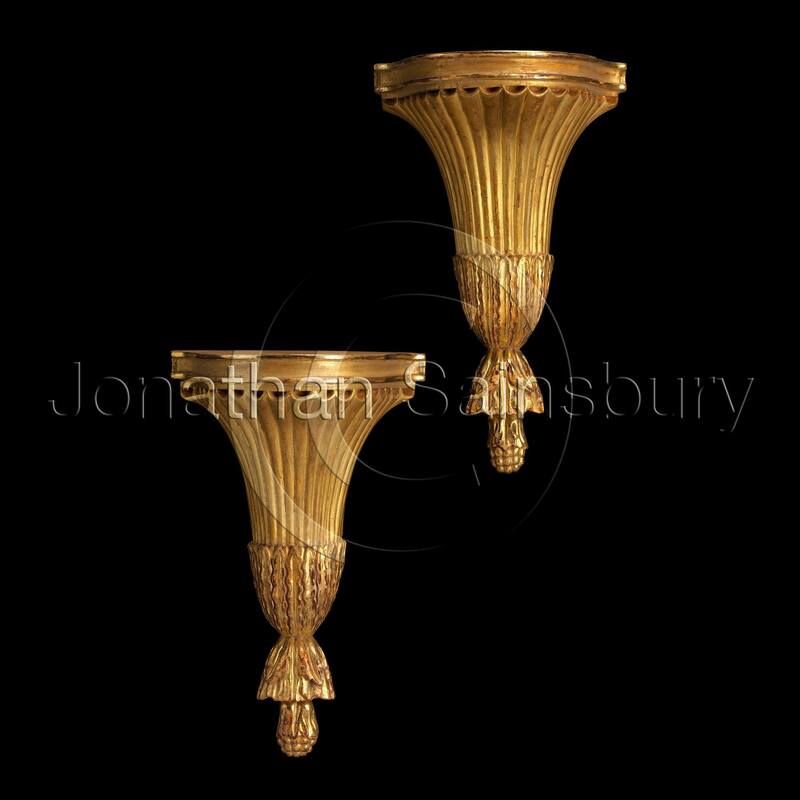 This late 18th Century design carved and gilded wood wall bracket has a shaped and double moulded shelf and a tapered fan fluted body. The base is decorated with a lotus leaf collar above a leaf carved and seed pod finial. Available either as a single, or as pairs, in a choice of sizes.